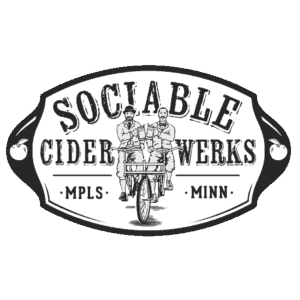 Minneapolis Craft Market returns to Sociable Cider Werks for our annual **outdoor** winter markets on Plaid Friday and Small Business Saturday of Thanksgiving weekend! Again this year we’re adding more fun by bringing food vendors by our friends at Frank & Ernest Markets & Eventsto the marketplace, so you can get all your handcrafted and gourmet holiday goods in one place. We have a different lineup of makers each day, so get the whole family (including your furry friends) together and spend the weekend with us! November 23: The #shoplocal alternative to Black Friday is also Sociable Cider Werks’ 5th Anniversary. So ditch the mall and party with us instead! Enjoy live music in the tap room, new cider releases every hour, and hot mulled cider in a festive outdoor marketplace full of local artists, farmers and food makers. November 24: Shop local with us this Small Business Saturday! Research shows that, on average, every dollar spent at a local, independent business generates at least three times more direct economic benefit than a dollar spent at absentee-owned formula businesses (source: MetroIBA / Buy Local Twin Cities). We invite you to spend this special Saturday in our festive outdoor marketplace, where you’ll be able to sip on hot mulled cider and browse work from the local artists and foodies that make the Twin Cities great. With a rotating selection of makers, Minneapolis Craft Market is the best place to discover emerging artists and new design talent of the North. Craft vendor spots for this event are now full, but maker applications are being accepted for all future market dates at http://www.mplscraftmarket.com. Follow Minneapolis Craft Market on Facebook, Instagram and Twitter (@mplscraftmkt) to hear about upcoming markets.